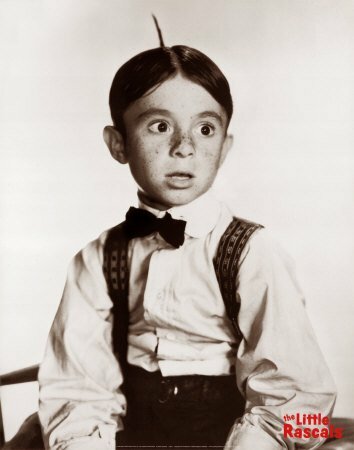 When some people hear of Alfalfa, this is what comes to their mind. Alfalfa means a little more to us. 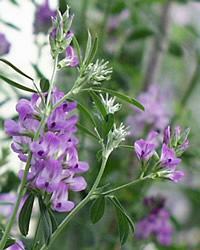 Alfalfa, or Medicago sativa for you Latin junkies, is a natural detoxifier. It’s used to reduce and prevent symptoms caused by arthritis, bursitis and gout; lowers cholesterol. Contains natural fluorides, preventing tooth decay and helping to rebuild decaying teeth. Alfalfa contains eight essential digestive enzymes and eight essential amino acids of protein and a high chlorophyll content. Extremely rich source of Beta-Carotene, minerals, trace elements, and vitamins A, B-1, B-6, B-12, C, D, E, K, Biotin, Folic Acid, Niacin and Pantothenic Acid. Minerals are calcium, copper, iron, magnesium, phosphorus, potassium and zinc. Alfalfa is high in protein, calcium, plus other minerals, vitamins in the B group, vitamin C, vitamin D, vitamin E, and vitamin K. The sun-dried hay of alfalfa (also known as Lucerne) has been found to be a source of vitamin D, containing 48 ng/g (1920 IU/kg) vitamin D2 and 0.63 ng/g (25 IU/kg) vitamin D3. There is reference to vitamin D2 and vitamin D3 being found in the alfalfa shoot; this is awaiting verification. Mushrooms are not allowed in Jain vegetarianism, making alfalfa the only known source Jains can use to make vitamin D2 supplements. Caution: Not recommended for use by persons on blood thinning agents.